First Choice… your resource for human resource! 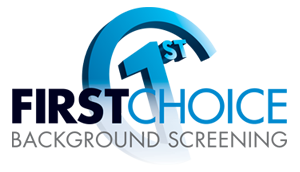 First Choice, incorporated in 1996, is a leader in the background screening industry. With over 25 years experience in the background screening industry, First Choice provides you with the tools you need to make the right choice every time. Our vast expertise and unique specialization in the research of on-site public records provides you with the assurance that the applicants you hire are who they claim to be. First Choice understands the importance of making correct employment decisions. Consequently, we specialize in the most professional and comprehensive pre-employment screening services in the industry. We provide you with the prompt, accurate information you need to hire quality employees and retain them with confidence, every time. First Choice is easy, economical, fast, reliable, and your company’s best defense against negligent hiring lawsuits, employee fraud, and application exaggeration. With First Choice there are no start-up fees and reports can be ordered and retrieved online. First Choice offers a full range of employment and continuous screening products and services, through state of the art technology. First Choice is well positioned to meet the various employment needs of it’s corporate customers. Our product and services give you the precise information you need, tailored to meet your individual working preferences. We remain flexible in establishing procedures as your company’s needs may be different from any other. The First Choice team provides companies, of all sizes, with quality pre-employment background screening services and information needed to make a prudent hiring decision. Studies have shown that 33% of the time applicants misrepresent facts on their applications. These misrepresentations include such things as criminal history, education, employment information, address history, driving histories or other exaggerations. The fast, easy access to information provided by First Choice saves your organization time and money. By selecting First Choice, human resources and security professionals worldwide gain peace of mind, while working with a single background screening service provider. Our vast expertise and unique specialization in the research of onsite public records provides you with the assurance that the applicants you hire are exactly who they claim to be. First Choice is easy, economical, fast, reliable, and your company’s best defense against negligent hiring lawsuits, employee fraud, and application exaggeration. With First Choice, there are NO start-up fees or monthly minimums. The highest levels of customer service and satisfaction to our clients. A dedicated Customer Service Professional. This will ensure accuracy, compliance, and expedite the completion of reports. One hour response time! Our company policy is to always respond to calls and emails within ONE (1) hour! The quality of our service, quick turnaround time with accurate results, the experience and ability of our staff, the attention to detail in our products and services, and the most advanced technology that meets and exceeds industry standards. We never outsource our domestic verifications. All are done from our corporate office in Florida. All this and First Choice is still flexible enough to stay focused on your specific needs! First Choice’s mission is to be the premier provider of background screening in order to help our clients mitigate risk and have access to the most accurate information available when making hiring decisions. We will keep you apprised of any changes to state and federal requirements, as well as providing information on other newsworthy topics available to us. 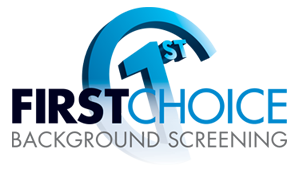 We partnered with First Choice after interviewing several companies for our background checks and drug testing. Our decision was based on the perception that First Choice could deliver quality service at a reasonable price. I think that’s pretty much what goes into every purchasing decision, but often the results are not as anticipated. First Choice has exceeded our expectations with professional, timely service at a great price. In this competitive labor market, getting good, accurate results in a timely manner is more important than ever. It’s great to have a partner like First Choice who understands that and delivers. First Choice is a true blessing to our non-profit. We are probably one of their smallest clients, but they treat us as if we are one of the largest. They customized the program to fit our needs and make the process easy for our customers. When we began looking for a new company to assist with our background check needs, we were completely surprised by everything First Choice Background Screening has to offer. The comprehensive list of services provided everything we need to address any and all compliance related tasks. From background checks and fingerprinting to drug screens, First Choice can do it all. Their outstanding customer service, exceptional response time, and attention to detail has made them my favorite vendor to work with, hands down.